Series 700 Microarray Ovens provide heating and bubble-mixing of target/probe solutions within microarray hybridization chambers including those supplied by Affymetrix and Agilent. 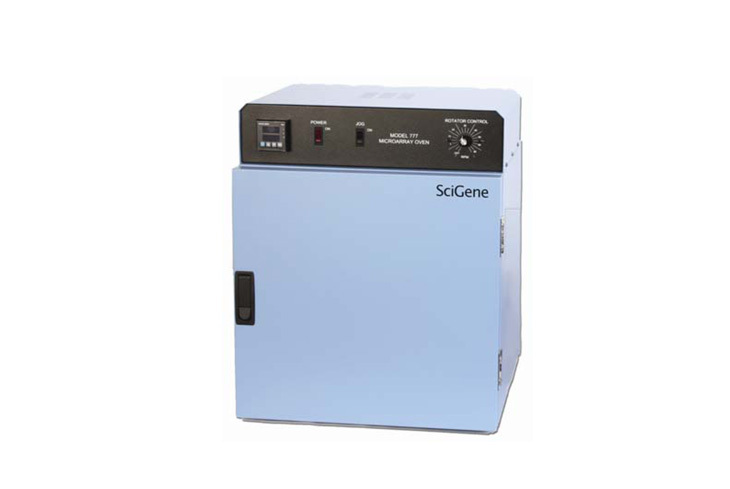 The Model 777 Microarray Oven provides rotational mixing to 80 RPM for Affymetrix GeneChips, and lower speed rotation for Agilent and other microarray chambers that use bubble-mixing. The Model 700 Microarray Oven provides rotation to 20 RPM and is used with Agilent SureHyb and other microarray chamber formats. The type 700 oven is recomended by Agilent for using with SureSelect On Array Target Enrichment.